Logitech mouse, Logitech keyboard, Logitech webcam are widely used among Windows 10 users. So now that you have updated Windows 10, why not update your Logitech mouse driver on Windows 10? Or once there is anything wrong with your Logitech devices, like Logitech mouse, Logitech wireless keyboard, you may as well manage to try to update Logitech Windows 10 drivers so as to fix various Logitech errors, for instance, Logitech wireless mouse not working. Most commonly, you can happen to Logitech mouse not working on Windows 10, which is why this article will take downloading Logitech mouse drivers Windows 10 as an example, such as Logitech M510 wireless mouse driver or Logitech USB mouse driver. Here, of course, if some other Logitech devices happen to issue, you can use the similar way to update the Logitech Windows 10 drivers. How to Update Logitech Drivers on Windows 10? As you have been told, three methods are available for you to get Logitech keyboard driver for Windows 10. They are Downloading the Logitech mouse driver via Device Manager, Logitech official site, and a third-party tool. Now get started to download Windows 10 Logitech mouse drivers in different ways. This is the most common method you can take to update Logitech mouse, keyboard, or webcam driver for Windows 10. As Device Manager is embedded in Windows systems, you are able to utilize it to get your mouse driver updated if you like at any time. Before you try to make use of more complicated ways, you would better download Logitech keyboard driver for Windows 10 in Device Manager. 2. In Device Manager, expand Mice and other pointing devices and then right click your Mouse driver to Update driver. 3. In the next window, hit Search automatically for updated driver software. 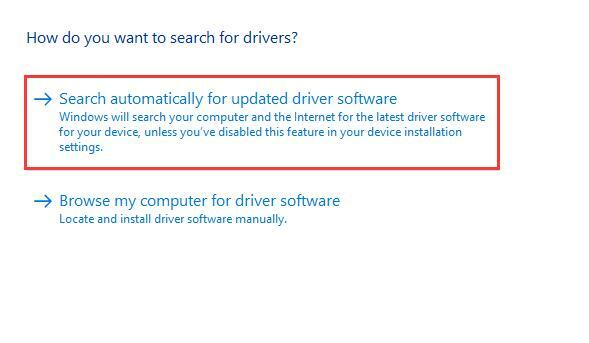 If possible, Device Manager can find the update-to-date Logitech driver and install it on your PC. Thus there will be no more mouse out of work error Windows 10. But in some cases, maybe Windows Device Manager failed to download the new driver for Logitech wireless mouse, keyboard, or webcam on Windows 10. On that occasion, it is necessary for you to turn to Logitech official site to get the Logitech Windows 10 drivers for your PC since the Logitech support site will release updated drivers intermittently. 1. Navigate to the Logitech Support site. 2. 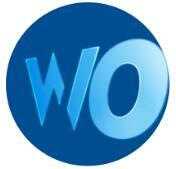 In this webpage, select Downloads and then enter the Logitech model. Once you press Enter, all the drivers available will show up. 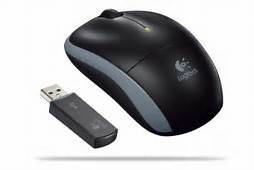 Here for your reference, type in Logitech wireless mouse M557 to search for its driver. Yours may be Logitech MX Master 2S or Logitech G903. 3. Click Download and you are able to install the Logitech driver on your PC. As you can see, here you can also choose to download Logitech SetPoint software for Windows 10 if you really want. Of course, it is capable of improving your mouse performance as well. As for the users who are not so expert at the computer or who have limited time and energy, it is advisable that you attempt to update Logitech keyboard driver or Logitech webcam driver with the help of some third-party software. They must be specialized in driver downloading or updating. Here Driver Doctor can be a good choice for you. Only with three clicks and you will be entitled to get the Logitech Windows 10 drivers for your PC. If you find you are unable to fix the Logitech driver error on your own, Driver Doctor will be always available for you. To conclude, in order to download or update Windows 10 Logitech mouse drivers, you are supposed to choose a suitable way from the above ones.